Are you open to working on-call? Will you require sponsorship to obtain/maintain your employment authorization? “Personal Information,” also known as “personal data,” may include, where applicable: your name; your home or other physical address; your email address; your telephone number or other contact information; Social Security number; driver’s license or state identification card number; financial information (i.e. bank account number and routing number); your AvalonCommunities or AvalonAccess account username and password; and/or any other identifier that identifies with you. “Personal Information” may also include your AvalonCommunities or AvalonAccess account information – i.e. your username and password. This Policy may change from time to time. Your continued use of this Website after we make changes is deemed to be acceptance of those changes, so please review this Policy periodically for updates. If we make significant changes to the way we process or use your data, we will provide specific notification of those changes to you prior to those changes taking effect. When you use our Website or other Services, we collect certain information about you. Avalon collects and obtains your information in a few different ways. We collect information that you choose to give to us, information that we obtain through your use of the Web Site, and information that we obtain from third parties or other sources. We may ask for your consent to provide Personal Information to use certain services on our Web Site, tocommunicate with us, to apply for an apartment or employment, or to use other services provided by Avalon. We may ask you to provide certain Personal Information at various places and through various mechanisms on the Web Site. This may include, for example, when you fill out and submit forms (such as forms requesting information needed to consider you for apartment rentals or potential employment opportunities), when you initiate payments to us through the Web Site, when you participate in promotions, contests, or sweepstakes on the Web Site, or when you post information to an interactive forum, bulletin board, or chat room. We may also collect Personal Information when you register for e-mail communications, and when you submit a survey response, question or request to the Web Site or e-mail address link on the Web Site. Additionally, we will collect other information that you voluntarily provide through your use of the Web Site or our services – for instance, you may ask us questions or provide comments to us via the “Contact Us” page of our Web Site. When using the “Contact Us” form, we will ask you to provide certain Personal Information, such as your name and email address, so that we can respond to your questions or comments. We will also collect any other information that you choose to provide via the “Contact Us” page, including any additional Personal Information beyond your name and contact information. However, we encourage you not to provide or share any Personal Information via the “Contact Us” page that you would not want to be viewed by others or otherwise be made publicly available. When you visit the Web Site, we automatically collect certain information about your activities ("Web Site Usage Information"). Web Site Usage Information is information about how our visitors use and navigate the Web Site. This includes, for example, the number and frequency of visitors to each web page, the length of their stays, the type of browser each visitor is using to view the Web Site (for example, Internet Explorer, Firefox), the type of operating system each visitor is using, (for example, WindowsOS, Mac OS), the domain name of each visitor's Internet service provider, the location data such as the visitor’s IP address, the address (or "URL") of the web site that the visitor came from before visiting the Web Site, which pages were visited on the Web Site, what was clicked on, and certain other available information. An IP address is a number that is automatically assigned to your computer whenever you access the Internet, which our web servers use to identify where to send the information your computer requests. When you request pages from the Web Site, our servers log your IP address as well as information about your activities on those pages. To collect this Web Site Usage Information, the Web Site and any e-mails sent to you by the Web Site (or otherwise by AvalonBay Communities, Inc.) may utilize cookies, web beacons, embedded scripts or similar technologies. Our systems do not respond to browser “Do Not Track” signals. We may receive Personal Information about you from other sources. For example, if you are applying for an apartment, condo, corporate housing, or employment, either via the Web Site or offline, we may obtain information from third parties about your creditworthiness, among other information, as part of the application process. Additionally, we may obtain information you provide to a third party via a Portal Site in order to provide certain services to you – for instance, the third party operator of an in-screen chat function may provide us your information in order to review your feedback or resolve a question a question you may have. The Web Site is intended only for adults over the age of eighteen (18), and is not directed to children younger than age eighteen (18). Avalon also does not knowingly collect Personal Information from children under the age of thirteen (13) on the Web Site and will delete any information if later determined to be from a person younger than age thirteen (13). At Avalon, we retain and use your Personal Information to: (1) provide you with services or process transactions that you have requested; (2) communicate with you regarding information, features or offers that we believe will be of interest to you; (3) respond to your questions or other requests; (4) contact you with regard to the Web Site or otherwise; (5) process any applications, payments or changes to your account information; (6) process other information or Personal Information that you submit through the Web Site; (7) conduct user surveys; (8) contact you regarding a sweepstakes, contest or promotion in which you have participated; (9) evaluate your application for employment; and (10) fulfill other purposes disclosed at the time you provide your Personal Information. We may also use the information you provide to improve the Web Site or AvalonBay's services, to customize your experience on the Web Site, to serve you specific content, or for other business purposes. If you are purchasing a service, we will request and collect certain financial information from you. Any financial information we collect is used to bill you for the services you purchased. If you purchase by credit card, this information may be forwarded to your credit card provider. You may also be asked to disclose Personal Information to us so that we may provide online technical support and troubleshooting for these services. We may share Personal Information with our affiliated or subsidiary companies who require access to Personal Information for legitimate business purposes related to your tenancy or to process any application, request, inquiry, or other information or Personal Information you submit via the Web Site. This includes the owner of any community where you make application or where you lease, as well as the management company for such community. We may share information governed by this Policy – including Personal Information – with third party data analytics firms, and/or marking firms for direct marketing or remarketing purposes. Avalon only shares this information collected from users with US-based IP addresses. We may share your Personal Information with third parties who perform services on our behalf or on behalf of the owner of one of our properties and who may use this information for their own purposes, including sending advertising to you. This includes, without limitation, third parties that send communications, process payments, analyze data, assist with utility billing or renters insurance, provide credit checks, resident screening, or collection services, provide marketing assistance, or create, host and/or provide customer service on our behalf. We also may share Personal Information with our business partners in order to provide services and offerings to you. These third parties may have access to Personal information in order to provide these services to us or on our behalf. All of the personal information you provide us is stored in a secure computing environment protected by secure firewalls and intrusion prevention systems to avert unauthorized access. We protect the confidentiality of your data by encrypting sensitive information. We build information security into our systems and networks using internationally recognized security standards, regulations, and industry-based best practices. We control access so that only people who need to access the information are able to. All staff of AvalonBay Communities, Inc. are required to adhere to our policies on confidentiality and security. When you access secure areas of our web sites, we use the Secure Sockets Layer (SSL) protocol to provide you with the safest, most secure web experience possible. SSL technology enables encryption (scrambling) of sensitive information, including passwords and banking information, during your online session. There are two cues to show you that you are using a secure area. First, the web site address (or URL) appears as https:// (instead of just http://) - the "s" is for "secure." Second, a lock or key indicator appears in the status bar of your web browser. We use https:// only for secure pages, i.e. pages that transfer confidential information. Pages that are only used for product offerings will still use the regular http:// since no sensitive information is being passed through them. In general, you may browse the Web Site without providing Personal Information. However, if you choose not to provide certain information through this Web Site or a Portal Site, we may not be able to provide certain services or process certain of your requests. You may not be able to submit an application for employment, may not be able to access resident services online, or otherwise use all of the features and products that we make available online. The Web Site is operated in the United States. Your Personal Information will be processed and shared in the United States, where data protection and privacy regulations may provide different levels of protection compared with non-United States jurisdictions. If you are located in the European Union, Canada or elsewhere outside of the United States, please be aware that any information you provide to us will be transferred to the United States. By using the Web Site or providing us with your information, you consent to this transfer and the retention of and processing of your data in the United States. We may from time to time elect to share certain information about you collected on this Web Site with our affiliates or partners for their own direct marketing purposes. California Civil Code Section 1798.83 permits California residents who have supplied personal information, as defined in the statute, to us, under certain circumstances, to request and obtain certain information regarding our disclosure, if any, of personal information to third parties for their direct marketing purposes. If this applies, you may obtain the categories of personal information shared and the names and addresses of all third parties that received personal information for their direct marketing purposes during the immediately prior calendar year (e.g., requests made in 2017 will receive information about 2016 sharing activities). To make such a request, please provide sufficient information for us to determine if this applies to you, attest to the fact that you are a California resident and provide a current California address for our response. You may make this request in writing to: AvalonBay Communities, Inc., 671 N. Glebe Road, Suite 800, Arlington, VA 22203 (Attn: Legal Dept. – CA Privacy Request). Any such request must include “California Privacy Rights Request” in the first line of the description and include your name, street address, city, state and ZIP code. Please note that we are only required to respond to one request per customer each year, and we are not required to respond to requests made by means other than through this address. As mentioned above, the Web Site is intended only for adults over the age of 18.  Any California residents under the age of 18 who have registered to use the Web Site, and who have posted content or information on the Web Site, can request that such information be removed from the Web Site by contacting us at webmaster@avalonbaycommunities.com. When making such a request the minor must state that the minor personally posted such content or information and detail where the content or information is posted. We will make reasonable good faith efforts to remove the post from prospective public view or anonymize it so the minor cannot be individually identified. This removal process cannot ensure complete or comprehensive removal. For instance, third parties may have republished the post and archived copies of it may be stored by search engines or others we do not control. Avalon retains all data collected according to this Policy. While we do not currently purge such data, it is encrypted in the storage database.